Food plays a central role in the way we celebrate the holidays. With the holiday season upon us, this is a great time to remind everyone about the importance of holiday food safety. To keep unwanted visitors like Salmonella, E. coli and Staph aureus from crashing your holiday party, the Division of Environmental Health Services would like to share some important food safety tips and resources that you can use for holiday and everyday meals. Holiday Treats: Certain foods and methods of food preparation that are popular during the season can increase the risk of foodborne illness. For example, consuming foods that contain raw eggs as called for in some homemade egg nog recipes, meringue-topped pies or even tasting raw cookie dough, can all lead to food poisoning. 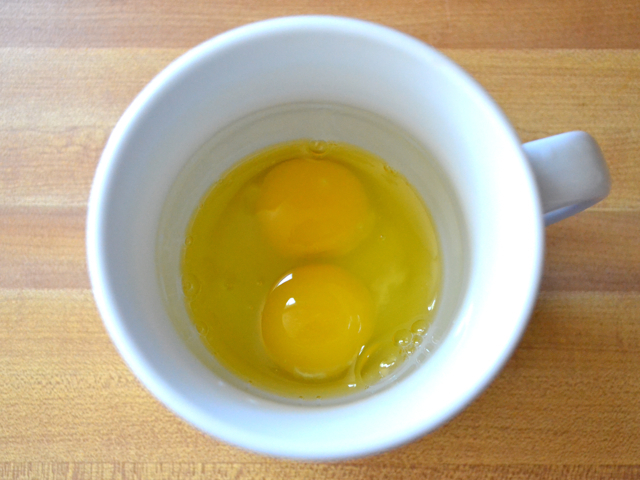 To reduce the risk of foodborne illness associated with raw or undercooked eggs, consider using a cooked-egg mixture. Be sure that any food products that contain eggs are cooked to 160ºF. You can also substitute raw eggs for pasteurized eggs or egg products. This way, you can enjoy your favorite holiday treats without sacrificing taste or food safety. Clean: Wash hands and surfaces often. Bacteria that cause food poisoning can survive in many places around your kitchen, including on your hands, utensils, serving plates and cutting boards. •Wash your hands for 20 seconds with soap and warm, running water. Be sure to scrub the backs of your hands, between your fingers, and under your fingernails. •Wash all surfaces and utensils after each use. Rinsing utensils, countertops, and cutting boards with water won’t do enough to stop bacteria from spreading. Clean utensils and small cutting boards with soap and hot water. Clean all surfaces and cutting boards with soap and hot water, and sanitize with a bleach solution. •Wash fruits and vegetables—but not meat, poultry, or eggs. Even if you plan to peel fruits and veggies, it’s important to wash them first because bacteria can spread from the outside to the inside as you cut or peel them. Separate: Don’t cross-contaminate. Keep raw meat, poultry, seafood, and eggs separate from cooked and ready-to-eat foods to prevent the spread of illness-causing bacteria. Use a separate knife and cutting board for meats and cooked or ready-to eat-foods. Cook: Cook to the right temperatures. Do not rely on color or texture alone. Always use a food thermometer to check for the doneness of cooked foods. This is the only way to know if your food has reached a safe internal temperature. Click here to view the Safe Minimum Internal Temperature Chart from the USDA:1.usa.gov/1vFIGwq. Chill: Refrigerate uneaten foods within two hours. Harmful bacteria can quickly grow in many foods when left out for too long. Set a kitchen timer to help remind you of when foods need to be refrigerated. The two-hour rule also applies to food brought over from guests. Refrigerated leftovers should be used within three to four days. You can learn more about these and other tips by visiting the Holiday Food Safety Success Kit at www.holidayfoodsafety.org. For more information, contact the County of San Bernardino Department of Public Health Division of Environmental Health Services at (800) 442-2283 or visit our website at www.sbcounty.gov/dph/dehs.